“Welcome to the Open EyeTap’s Instructables page! We are a few enthusiastic makers with a big ambition to build the world’s most active Smart Glasses and Wearable Augmented Reality Community. We wish to make accessible a framework on which augmented reality can thrive. We wish to share our EyeTap with the tinkerers of the world. Together, as a community, we can improve this open-sourced technology. Our primary goal in this Instructable is to simplify the construction of the EyeTap. We hope it helps you build your own and decreases the barrier to entry into the augmented reality field. We also hope youll find interesting functionalities and designs perhaps specific to your lifestyle that can be added and shared on our website forum: openeyetap.com! We believe that we, as a community, can be the disruptive force necessary to develop the first open-sourced augmented reality glass. 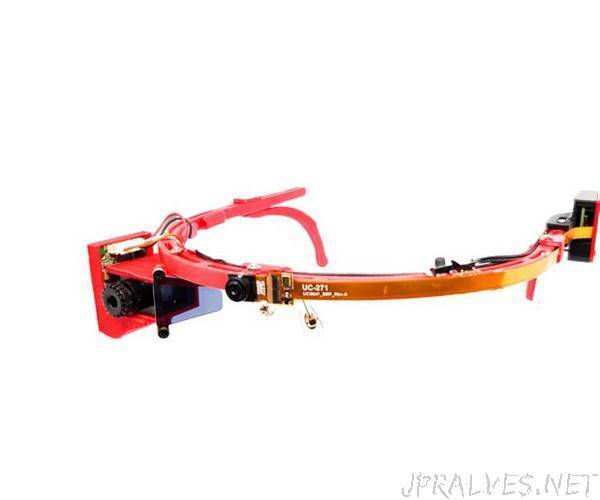 We have presented below in detailed fashion the steps required to construct your very own EyeTap for under 200$. In brief, we will be using 3D printed components, a micro-display with built-in optics, a spy camera and a Raspberry Pi Zero Wifi. We have currently developed a cyborglogging (“dash-cam” -like) function that you will be able run with your EyeTap, and more modules & functionalities will come soon. Take a picture when pressing the button #1. Take a Dash-Camera Video when pressing the button #2. Saves 1 min 30 sec PRIOR to when the button was pressed and 30 sec AFTER the button has been pressed. Automatically uploads to your YouTube channel if connected to wifi. If the EyeTap is not connected to wifi, saves to its local SD card.What is a Dash-Camera Video function?